Sextans is a highly flexible process control application used in demanding production environments around the world to aid assembly, testing and data capture applications. 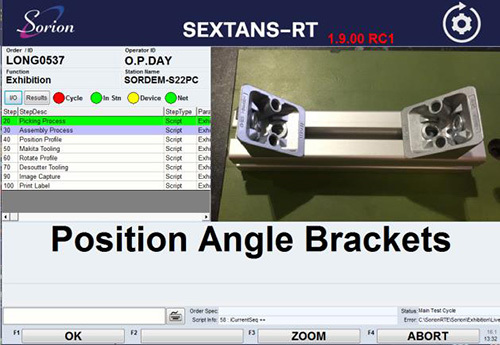 Sextans ensures full traceability for quality assurance of all parts. Sextans-RT runs on a Windows based PC and connects to the range of Sorion peripherals (including Pyxis LPSC – PSU, Pyxis P20IO – Digital I/O, Rigel VCi4 – Vehicle/ECU communications. Sextans takes input information (via RFID, Barcode, etc.) to initialise the exact build or test sequence. This can be either a simple step type (e.g. screen prompt, DC Tool fastening, etc.) or a script based complex process (e.g. ECU diagnostics, machine control, etc.). Data is seamlessly transferred to our traceability database Orion to provide quality assurance and performance statistics geared to manufacturing requirements. PROCESS – with assemblies being manufactured to a very high level of variability, it is vitally important to ensure that the assembly is manufactured to match this specification. TEST – Sextans performs the test schedules required to carry out end-of-line functional inspections on built up assemblies. 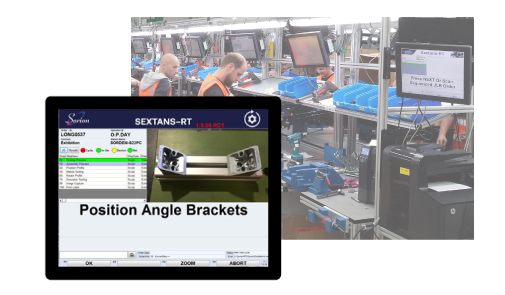 TRACEABILITY – All results generated by Sextans are forwarded to an OrionTM database to provide traceability of all processes and tests on finished assemblies. A wide variety of standard reports allows evaluation of the process on a machine / track area basis. These reports allow recovery of a complete history of the finished assembly or real-time monitoring of current failures. MANAGEMENT – provides the editors and tools for distribution and storage of test sequences required across the system. Process steps and tests can easily be moved between stations. SUPPORT – Inbuilt tools to monitor and control all I/O points and log or graph data. Also a centralised view of the whole system’s status is always available. Sextans systems are managed centrally. 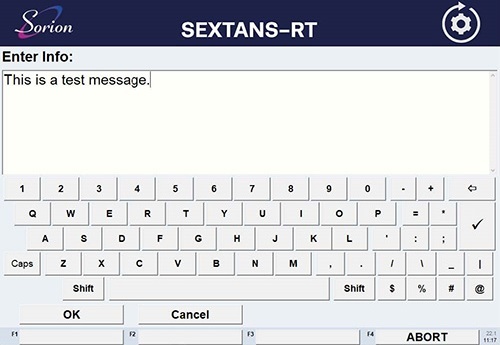 Sextans Editor is used to configure all on-line process control stations by connecting to a central configuration database. 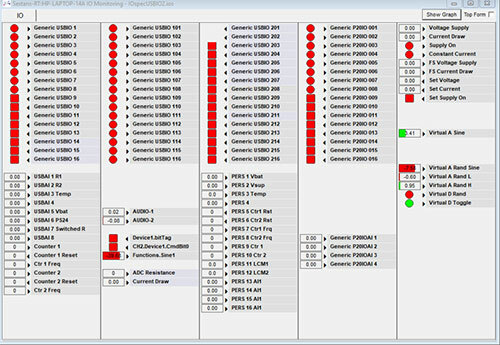 When a change is made within the editor a process of releasing the data to shop floor stations can be performed. All of the sequence data and configuration can be held on a server, therefore should any station PCs require replacing / rebuilding all that it requires is a standard Sextans installation and then the configuration is automatically downloaded from the server. 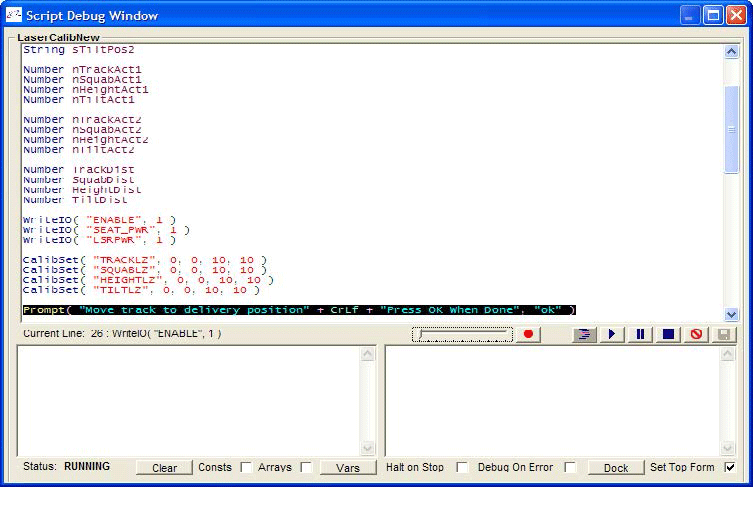 The embedded scripting engine adds extra functionality and flexibility to process steps, allowing a script developer to debug and develop the current script.